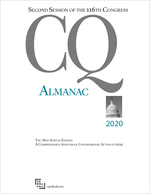 Senate and presidential elections in 1980 marked a shift from the policies which defined America during the Carter years. 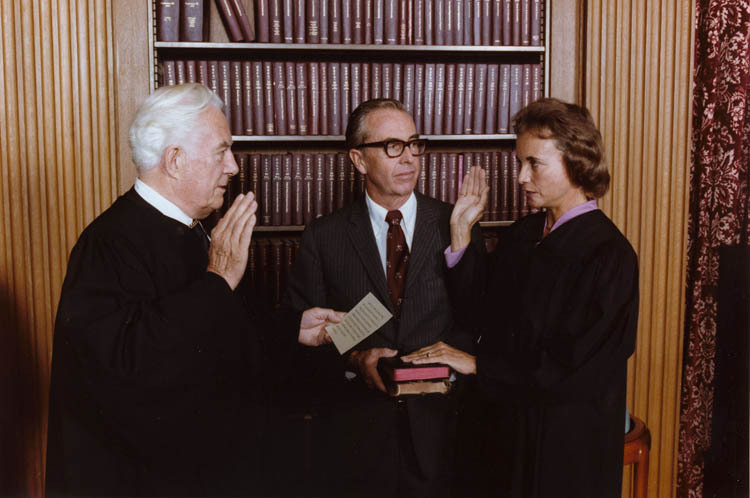 Sandra Day O'Connor's historic appointment in 1981 made her the first woman to serve on the U.S. Supreme Court. 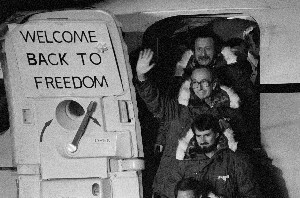 Iran's release of detained U.S. Embassy personnel after 444 days was timed to coincide with the inauguration of President Reagan, in a move designed to embarrass outgoing President Carter. 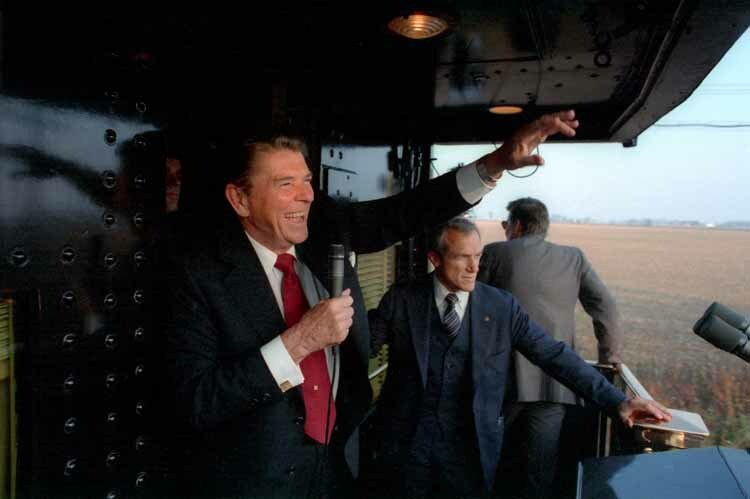 Reagan's reelection renewed the political mandate for a more robust foreign policy and limited government at home. 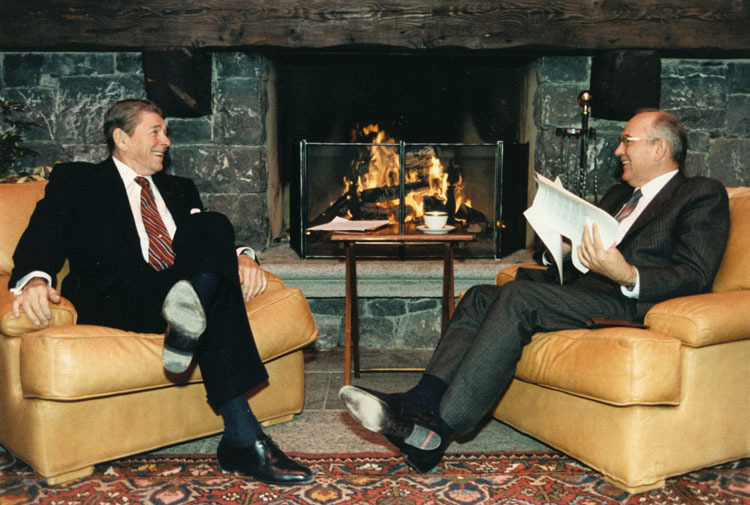 Reagan and Gorbachev's summit in Geneva advanced dialogue between America and the Soviet Union and began a period of rapprochement between the two leaders. The Strategic Defense Initiative, a proposed nuclear shield commonly referred to as Star Wars, attracted the opposition of arms control advocates as well as the Soviet Union. The Iran-Contra Affair exposed a secret operation in which the U.S. funneled the proceeds from arms deals with Iran to Nicaraguan guerilla forces. 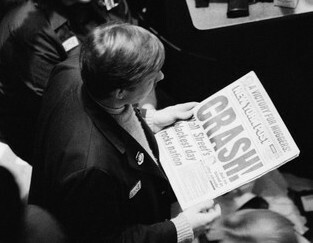 The stock market crashes on "Black Monday," spurring Congress and the White House to tighten financial regulations. The Berlin Wall falls, symbolizing the end of Soviet dominance in Eastern Europe and reuniting a city divided for nearly thirty years. The Exxon Valdez oil spill in the prince William Sound was the worst in American history.